Newcastle stag nights are becoming more and more popular as stag parties flock to the North of England to discover one of the UK’s biggest party cities! Not only is Newcastle one of the largest cities in the North, but it has a buzzing nightlife fit to give a stag party one of the best nights of their life! If you’re off on Newcastle stag nights and planning to make a weekend of it, then there’s plenty of places to stay. Whether you’re looking to treat the stag to some 5* luxury or need a cheap hotel for a big group of you, there’s every option available to suit your budget. Most of the hotels and guesthouses are situated in the city, so you shouldn’t need to pay for bus or taxi fares, and can save that all-important cash for drinks instead! Newcastle has some of the best nightlife around, whether you’re a pub-crawl gang or clubbing ravers, there’s something for everyone! The city sits on the famous Tyne River, so much of the nightlife and eating venues overlook the wide banks of the river, giving it a particularly special party atmosphere during the summer. 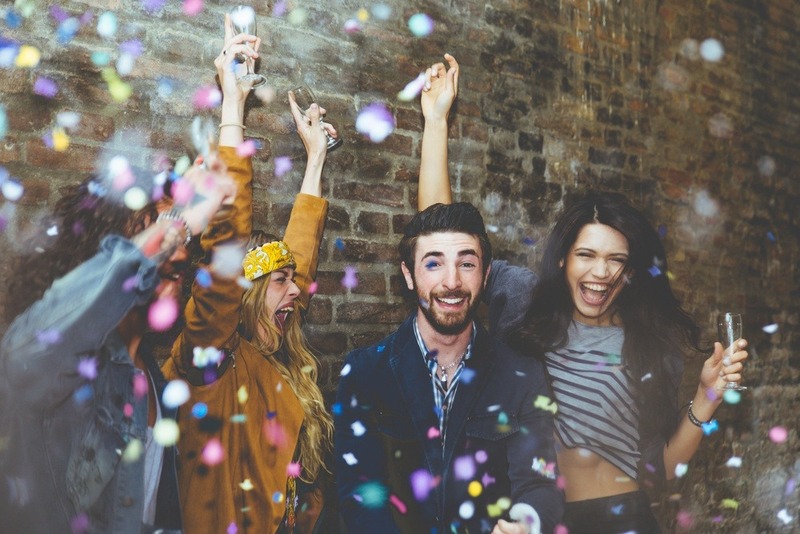 Newcastle stag nights and hen parties are becoming so popular that you’re guaranteed to meet some likeminded friends who will join in with your party! Newcastle has been listed as one of the top 10 places to go for an unforgettable night out and the nightlife is believed to be Newcastle’s top attraction. The city is separated out into several areas where bars, pubs, cocktail bars, wine bars, nightclubs and lap dance clubs line the streets like there’s no tomorrow. Popular areas include Collingwood Street, Osborne Street, Central Station and Neville Street. There is also a recent addition to the city called The Gate, an amazing complex of exclusive bars and clubs with a 12 screen Empire multiplex cinema, perhaps the perfect place to start your stag night, after a matinee film? One of the best river views is from the Quayside, where you will find plenty of bars to enjoy a few beers in, many of which sell hand-crafted beer and amazing cocktails for a choice. There’s also sports bars such as The Trent House, so you can catch up on the football! Don't forget that Newcastle stag nights also offer some of the top lap dance clubs in the UK - book the stag some VIP treatment with a special private dance! We have some great news. Newcastle is a perfect place for stag nights as many of the pubs, clubs and bars have now increased their opening times to 24 hours a day after acquiring new licences. Let me repeat that – 24 hours a day of drinking and partying!! So, no matter what time you kick off your stag do, there’s no ‘closing time’ excuse to end the night.